I think it’s important to celebrate how important allies are to the LGBT community. Those allies who stood by my side during the very early stages of my transition made a real difference to my self-esteem and sense of belonging. Simply being by my side meant so much to me. I was told ‘Don’t talk about being trans, people don’t want to hear it. You make people feel uncomfortable’. 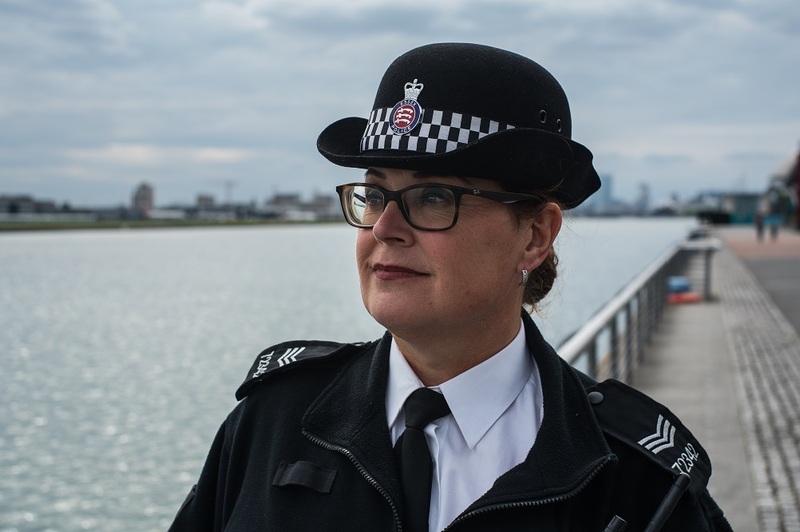 The way Essex Police showed flexibility in adapting to the change in my circumstances really helped my confidence. 20 years ago, I worked for a different force and was told ‘Don’t talk about being trans, people don’t want to hear it. You make people feel uncomfortable’. It confirmed to me that I would get no support, so I didn’t transition any further. But Essex Police were so supportive. In the early stages of my transit, they allowed me to have two warrant cards - one when I was presenting as male at work, and one for me when I was off duty as myself. The mantra, 'What can we do to help? ', more or less became their guiding principle as things moved forward for me. Straight allies can really influence other people too. The best way I’ve seen this is when they have corrected people who use my birthname, or incorrect gender pronouns. Straight allies can really influence other people too. The best way I’ve seen this is when they have corrected people who use my birthname, or incorrect gender pronouns when talking about me. Doing that is an education: it demonstrates to those people that not everybody shares their closed-minded values and beliefs, and they are the minority that need to change. I think the biggest thing that needs to happen for real equality in the UK is equality of gender – not just transgender. On marriage certificates, it only allows for the father’s name to be present. It’s been like this since 1837. When my daughter gets married her certificate will say ‘Father: Gina Denham’.